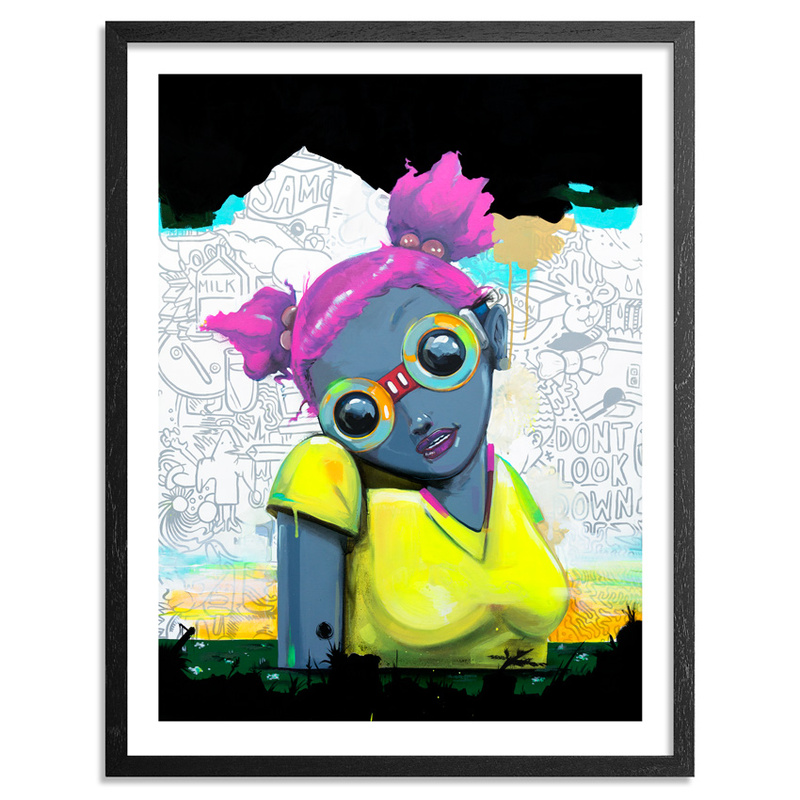 This RUN is signed, numbered and comes with a Certificate of Authenticity from Hebru Brantley and 1xRUN. 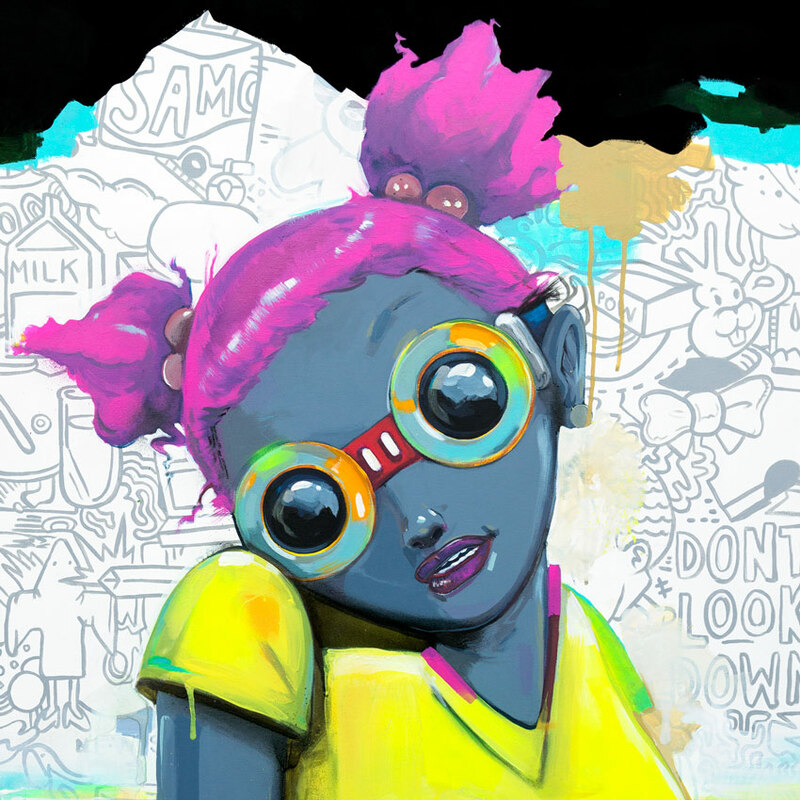 Hebru Brantley breaks down the walls of cultural boundaries through his art. Inspired by his 1980’s Chicago upbringing, Brantley’s work touches on tough subjects in a way that may be easily digestible to the viewer, by telling his stories through youthful characters and their adventures. 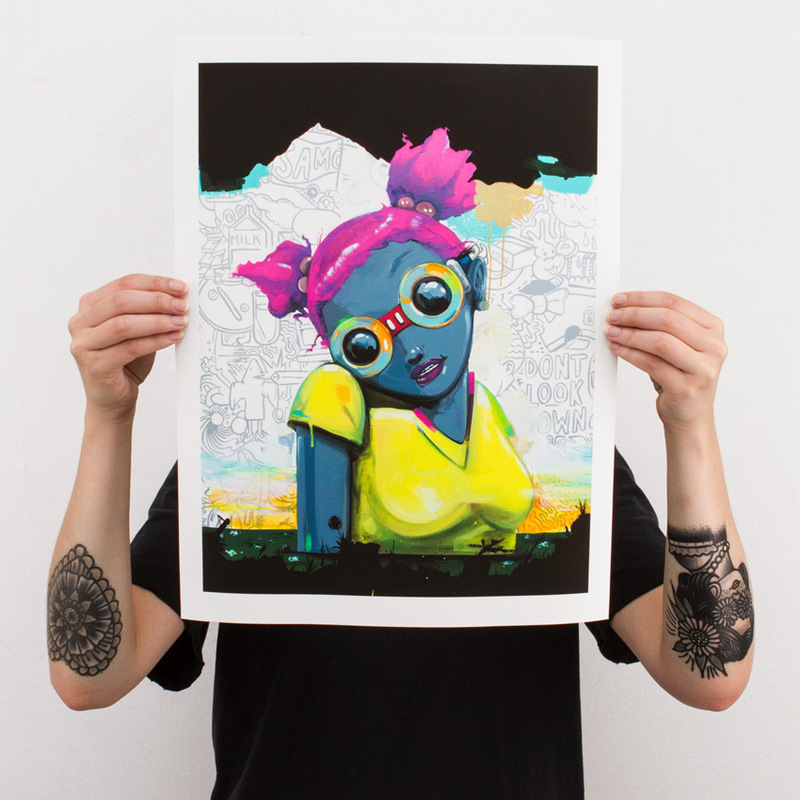 Brantley’s work can be described as pop infused contemporary art inspired by Japanese anime and the bold aesthetics of street art pioneers Jean Michel Basquiat, Kaws and Keith Haring. 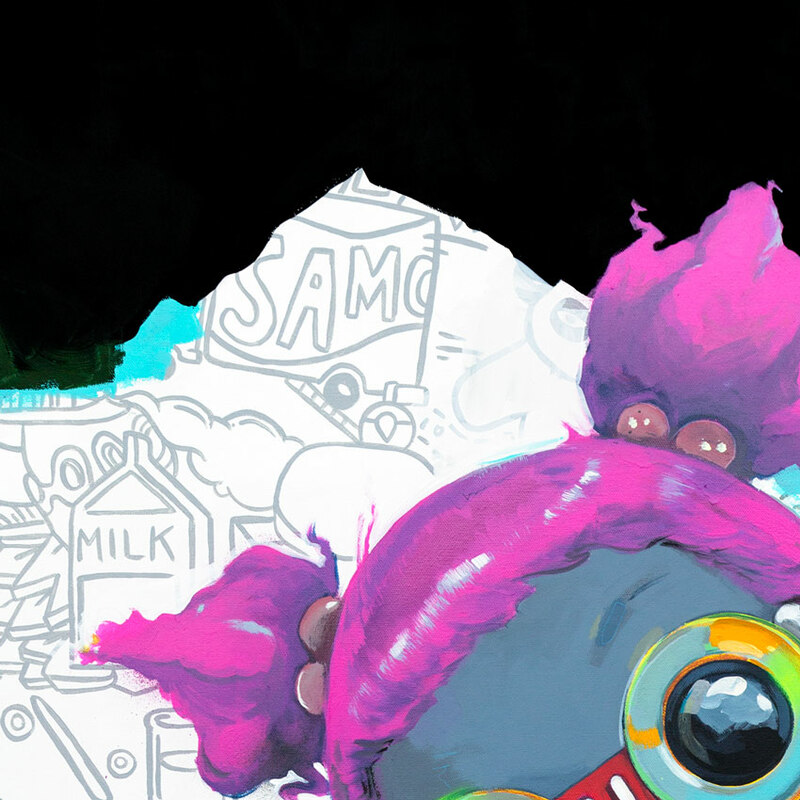 While spray paint is often at the forefront of his mixed-media illustrations, Brantley utilizes a plethora of mediums from oil, acrylic and watercolor to non-traditional mediums like coffee and tea. Brantley found his first foray into the art world through murals from the Afro Cobra movement of the 60’s & 70’s lining the walls of the South Side of Chicago. 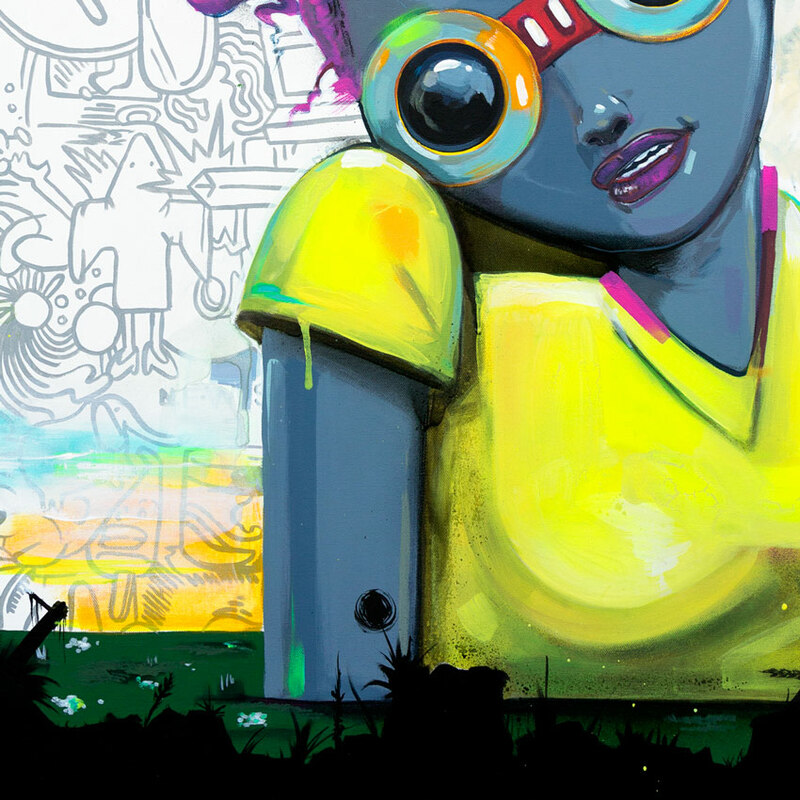 These murals spoke to empowerment of our nation’s youth in a way that was no longer relatable, and Brantley looks to offer the same hope and optimism to the nation’s youth in a more engaging manor.